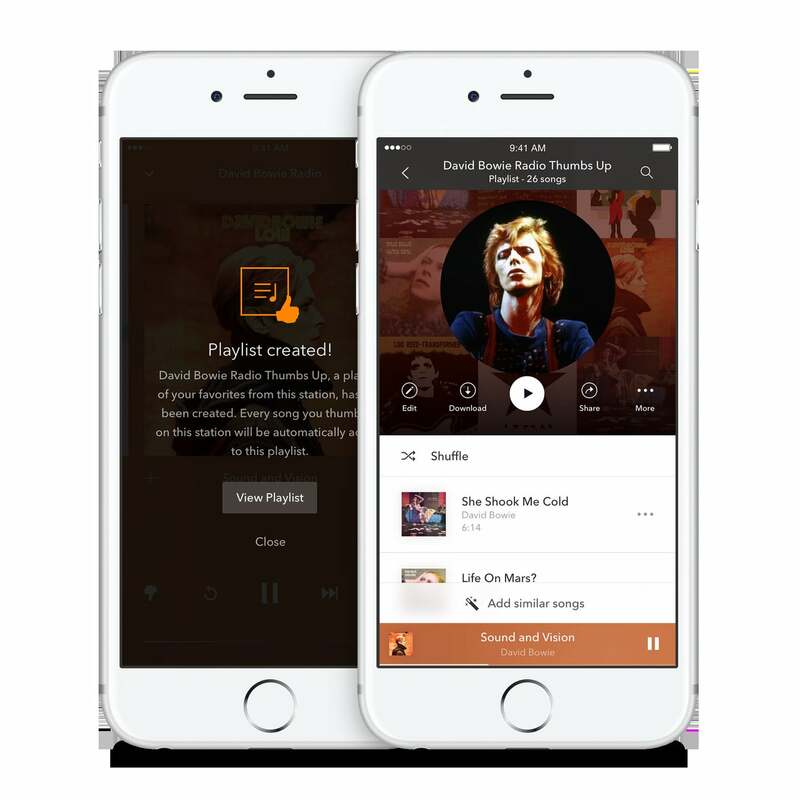 Pandora Premium arrives this week. Pandora Premium was officially announced today, March 13. The service, first teased in January, begins rolling out this week to take on other subscription-based music streaming services, including Apple Music and Spotify. As expected, Pandora Premium will focus on personalization. To do so, you’ll be able to search and play any track or album and a set of playlist features tailored to your preferences. Current Pandora users will also be happy to know that the service’s popular thumb rating system remains. Nothing changes in Pandora Premium, except now we’ve given you a way to come back to those thumbed up songs again and again. Thumb up a handful of songs on your favorite radio station and Pandora Premium will automatically create a playlist of these songs. Thumb more songs and we’ll add those to the playlist too. Pandora Premium also features the ability to browse full albums based on what you’ve listened to in the past. Inspired by Rdio, which it purchased, Pandora Premium will also include an auto-play feature. This means you can keep the tunes playing based on what you have been listening to, for a full flow of similar music. We can’t wait to get our hands on Pandora Premium. You can too by adding your name to the waiting list. Pandora Premium, like similar services, launches at $9.99 per month.